Well-being: Is it an Over Looked Employee Need that is also a Recruitment Benefit? For years companies have widened their nets to capture new talent. New BMWs, country club memberships, travel perks and other benefits have been used as incentives to attract new talent. However, well-being benefits are becoming a “higher-value” to many young “millenniums”. So what does “well-being” mean to business? That varies to the needs of each corporation, its perception of the value for new talent and their contribution to the organization. It also addresses the needs of existing employees, as well. Ethics and Stewardship are the fundamental moral principles that drive and mold your Core Assets. Your internalized ethics and commitment to Stewardship establishes a basis for your corporate culture. That culture provide the corporate guidance, direction and boundaries for acceptable behavior and limits decisions that are consider unethical, irresponsible or illegal in the communities which you operate. As previously discussed, Core Assets are interlinked with your culture and transform those values into actions and results throughout your organization. Create a Vision, understand the elements and principles of Sustainability and how that would apply to your business. Your business is unique, it may be similar to your competition. Make it distinct and differentiate yourself from the pack. Integrating Sustainability will make your organization truly unique from end-to-end. It will you give you a better perspective, viewed through a lens that includes not only internal viewpoints, but external aspects of outside influences. As a leader of Sustainability you have a unique opportunity to lead your enterprise through a fresh Vision, based on Ethics, that is a Commitment to Sustainability. Your Core Assets will be driven by business values recognizing that Sustainability align to the needs of the present without sacrificing resources for future generation’s needs. It challenges your ideals beyond your brick and mortar walls and it is a role that legacies are made from. In a real example, IBM reflects this approach. Based on a recent study from IBM, today’s CEOs are “learning while leading”. Of those surveyed, say their organization must exhibit three key characteristics: 61% must be “customer obsessed”, 60% want an “inspirational leadership”, and 58 % want “leadership teaming”. CEOs must differentiate their organizations. • Today’s Customers are looking for Sustainability factors in your products. • Sustainability is a catalyst to move closer to all externalities and Suppliers would be a good beginning for that innovation. • Engage your employees to develop shared values. Allow your organization to collectively develop its core values. Has the U.N. Intergovernmental Panel on Climate Change (IPCC) forgotten that Transparency is part of Sustainability? U.N. Intergovernmental Panel on Climate Change (IPCC) is a small staff of 12 volunteer scientists who research Climate Change. They recently published another tome that questions their veracity. It also questions whether Climate Change is real, imagined, but essentially does not resolve that question at all. Its suggested (but unsubstantiated) impact on the environment, society and economic consequences is becoming an indicator for uncertainty rather than explaining real trends. These assumptions and Climate Change is controversial since it is promoted by “beliefs” rather than measurable facts and metrics. The IPCC said; “scientists are 95% certain that humans are the “dominant cause” of global warming since the 1950s.” Although there is no change in temperature for the last 15 years, yet that anomaly is downplayed in the report. In the 2007 study, the temperature range for doubling CO2 in the atmosphere was 2.0C to 4.5C. In the latest study, the temperature range for doubling CO2 in the atmosphere was expanded to 1.5C to 4.5C. So, where is the reporting Transparency in the study? It is public, right. But shouldn’t the IPCC stand on the same level of scrutiny that corporations are encouraged to provide? It stands with “scientist’s belief” that man has created the problem of climate change, yet recent IPCC models do not explain man’s significance on Earth’s climate. What be other explanations? Here are a few examples: volcanoes in the lithosphere or hydrosphere, recent earthquakes that created an island off the coast of Pakistan that is made of methane infused clays, possible thawing of the permafrost and possible underestimate of the sun’s influence, especially with the recent large solar flares. Predicting the Climate Change of our planet is a huge undertaking. Given this rather “flexible” notion to Climate Change, based on a dozen volunteer scientist’s “beliefs” and opinions. Why would executives give any credence to Sustainability? Executives make decisions on facts. And according to other sources, there are other significant megaforces that executives would recognize as a threat to their bottom line. Corporate Social Responsibility (CSR) is a framework and encompasses not only what companies do with their profits, but also how they make them, effectively. It does not replace your Strategic Planning system, rather it should be integrated into your existing one to address new business opportunities. It goes beyond philanthropy and compliance and addresses how companies manage their economic, social, and environmental ramifications. CSR also addresses relationships in all key spheres of influence: corporate values, the workplace, the marketplace, the supply chain, the community, and the public policy realm. 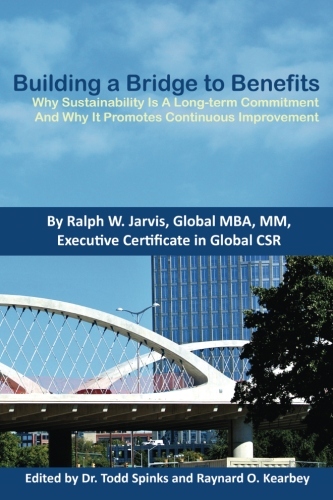 CSR is a coordinated and structured approach for business, government and non-profit transformation. It is not a marketing campaign on a “green” product. It is not only a facility’s managers duty, process or procedure. It is not only a Public Relations, Human Resource or Procurement job. It is not only about philanthropy for non-profit organizations. It is not only about community involvement like building a playground for your local park. Rather it is a framework that focuses a lens on the tangible benefits that can be garnered from Sustainability and how company’s work within the sphere of the community. Businesses responsibilities and their roles, throughout the industrialized world, have seen a sharp escalation in the social roles corporations are expected to play. CSR is also a long-term commitment based on an honest strategic effort, results, best practices and driven by transparency to the public. It is interwoven with business strategies and engages with external organizations. It is about measurable transformation, internally and externally, that extracts tangible benefits. Sustainability is more than platitudes and recycling efforts, for recycling is a beginning. It should be able to show financial benefits directly relating to waste reduction, conservation, improvement of internal processes and engagement with externalities (i.e., NGOs, Governments, Customers, Suppliers, etc.). Your leadership provides the vision for the future and enlisting employee-led procedures, processes and effective innovation for now and the future. Leading your people by empowering them with skills and knowledge is a critical success factor for transformation. “”There should be a focus on integrated reporting of CSR and financial results, which could bring about an alignment of Sustainability with economic performance.” ~ Fulvio Conti, Enel S.p.A.
CEOs see Sustainability shifting from a choice to a corporate priority. 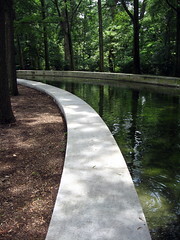 Sustainability leadership and culture embeds CSR into how employees and executives think about strategy and execution. Recent economic downturn raised importance of sustainability as an issue for top management to 80 percent. In a recent sermon, my minster discussed colloquial use of the word “used”. He illustrated an example of its value two thousand years ago. In those days, it was common to use things and love people. Well, have we turned that meaning around and love things and use people? What has happened with our values in today’s new modern world? Has humanity simply ignored stewardship principles for profit or is it a case where our high tech society is no longer linked to agrarian mores and values? So, in terms of Sustainability, has mankind placed to much emphasis on things without regarding the consequences to resources and ultimately our whole planet? An expert group of practitioners and commentators looks at prospects for CSR in 2012, published by CSRwire Talkback, written by Dr. Michael Hopkins and coauthored with Mr. Martin Summers and Dr. Adrian Payne. Every year, MHC International‘s annual CSR & Sustainability Update expert group meeting looks at the prospects for CSR in the coming year in the context of changing trends and themes in the corporate, social, political and economic spheres. Now in its sixth year, the group is comprised of a range of CSR practitioners and commentators. I recently received an email from a cousin of mine. She often sends stories and jokes that would interest me. This was an anecdotal story about ethics, honesty and integrity. The author is not known but the lesson discussed should make any CEO consider that their core values are one of the most valuable assets in their business. By now, others were talking about their plants, but Jim didn’t have a plant and he felt like a failure. Six months went by — still nothing in Jim’s pot. He just knew he had killed his seed. Everyone else had trees and tall plants, but he had nothing. Jim didn’t say anything to his colleagues, however, he just kept watering and fertilizing the soil – he so wanted the seed to grow. Jim told his wife that he wasn’t going to take an empty pot. But she asked him to be honest about what happened. Jim felt sick to his stomach, it was going to be the most embarrassing moment of his life, but he knew his wife was right. He took his empty pot to the board room. When Jim arrived, he was amazed at the variety of plants grown by the other executives. They were beautiful – in all shapes and sizes. Jim put his empty pot on the floor and many of his colleagues laughed, a few felt sorry for him! The CEO asked everyone to sit down except Jim. He looked at Jim, and then announced to the young executives, “Behold your next Chief Executive Officer! His name is “Jim!” Jim couldn’t believe it. Jim couldn’t even grow his seed. “How could he be the new CEO?” the others said.